1) The photo of your sealing, fixing or filling job MUST show where the HB42 product has been applied and MUST have the product in the picture, accompanied by a sentence on how you used it. 2) One entry per person. 3) Either post your entry to Twitter tagging @HB42_Allinone, to Facebook @HB42Allinone or email it to team@hb42.co.uk. 4) The entrant can use any HB42 product. 5) Winners will be selected at random. HB42 will announce the winner on the 1st of every month or closest working day. 6) If there is less than two entries, a winner will not be announced for that month. 7) Open to followers/customers in the UK only. Entrants must be 18 or over. 8) Unless otherwise stated, prizes include delivery to the UK mainland. 9) No cash alternative is available and products will not be changed or upgraded, but should the prize become unavailable HB42 has the right to offer an alternative prize. 10) Winners must be willing to participate in publicity – the photo will be shared on HB42’s social channels. 11) Your name and address must be supplied. If a winner does not supply their name and address, another winner will be picked at random. This website is operated by Hilton Banks Limited. Throughout the site, the terms “we”, “us” and “our” refer to Hilton Banks Limited. Hilton banks Limited offers this website, including all information, tools and services available from this site to you, the user, conditioned upon your acceptance of all terms, conditions, policies and notices stated here. Access to the services are operated by Hilton Banks Limited. We are registered in England and Wales under company number 1967612 and with our registered office address at 74 Oldfield Road, Hampton, TW12 2HR, United Kingdom. Our VAT number is 448757103. In no case shall Hilton Banks Limited, our directors, officers, employees, affiliates, agents, contractors, interns, suppliers, service providers or licensors be liable for any injury, loss, claim, or any direct, indirect, incidental, punitive, special, or consequential damages of any kind, including, without limitation lost profits, lost revenue, lost savings, loss of data, replacement costs, or any similar damages, whether based in contract, tort (including negligence), strict liability or otherwise, arising from your use of any of the service or any products procured using the service, or for any other claim related in any way to your use of the service or any product, including, but not limited to, any errors or omissions in any content, or any loss or damage of any kind incurred as a result of the use of the service or any content (or product) posted, transmitted, or otherwise made available via the service, even if advised of their possibility. Because some states or jurisdictions do not allow the exclusion or the limitation of liability for consequential or incidental damages, in such states or jurisdictions, our liability shall be limited to the maximum extent permitted by law. Questions about the Terms of Service should be sent to us at enquiries@hb42.co.uk. We only replace items if they are defective or damaged. 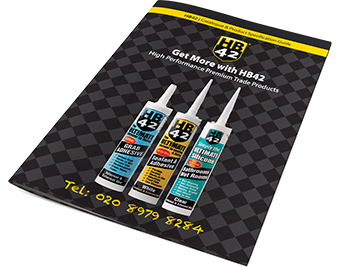 If you need to exchange it for the same item, send us an email at enquiries@hb42.co.uk and send your item to: 74 Oldfield Road, Hampton, TW12 2HR, United Kingdom. If you would like to: access, correct, amend or delete any personal information we have about you, register a complaint, or simply want more information contact our Privacy Compliance Officer at enquiries@hb42.co.uk or by mail at Hilton Banks Limited, 74 Oldfield Road, Hampton, TW122HR, United Kingdom.